We are grieving the loss of Rolf’s dad today. After a long battle with Parkinsons, Franz had a stroke 10 days ago and passed away yesterday (Monday), February 17, 2014…he was 87. I am grateful that Rolf was able to fly out Sunday and arrive in Auburn in time to be with his family and spend time at his dad’s side before he passed. Franz will be missed. 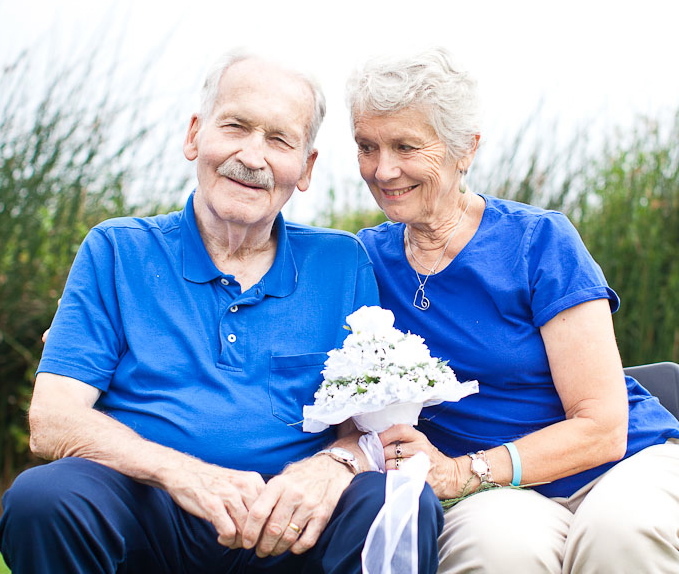 He was a good man who cared for his family, was passionate about his life’s work as an engineer, made significant professional contributions in his field and modeled commitment throughout his life to his wife of 52 years, his work, his four children and later to his 15 grandchildren. I loved my father-in-law and appreciated his presence in my life. I’m grateful for the ways he welcomed me into his family and demonstrated his care and concern for my family. Franz was a man of contradictions which is what made him so interesting to me…at first glance, I don’t think anyone would have described him as a huge risk-taker…he was conservative with his resources, careful in his choices and methodical in his approach to life and yet he made some pretty bold moves in his life that included leaving his family in China and Europe as a young college student to establish a new life in America – pretty risky if you ask me! Franz could also be described as extremely intelligent – he had an engineer’s mind that could easily digest all things technical. If you asked him a simple question, more often than not his answer would be filled with references to physics and other branches of science you didn’t even know applied! 🙂 Opa may have had the mind of an engineer but he also had the hand of an artist and he delighted us in his later years with his renderings of familiar places and faces (Rolf’s roses were a favorite subject during visits to Goleta). 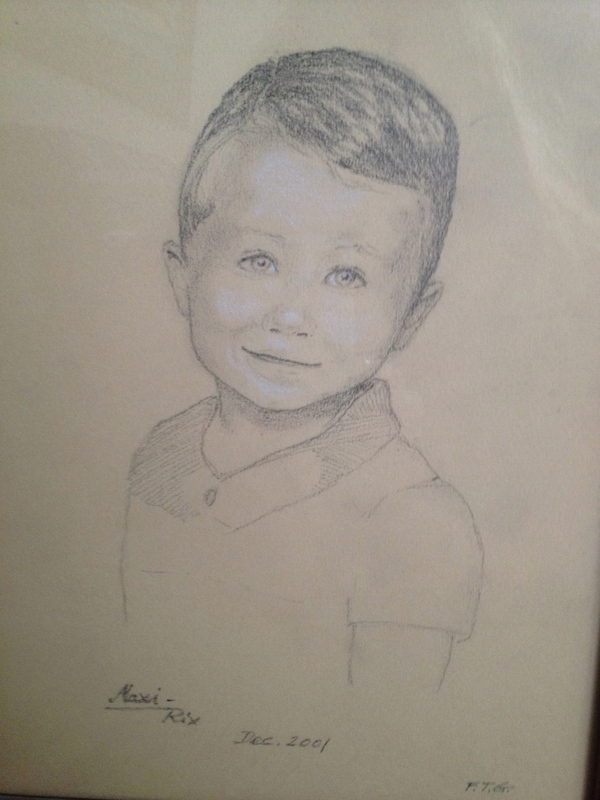 Opa’s sketch of Max in 2001. Losing Opa makes me miss my Dad a little more today too. I am blessed to have had them both in my life. Opa getting a little Rudy-love. So wonderful that all your children had time with both their grandfathers. They will have memories to last a lifetime. Even Rudy will be able to remember from great pictures and all your great posts. Blessings on both the Geyling and Wilson families. That last picture is priceless!!! What a legacy he is leaving behind….it was wonderful that your children knew him! Trish, my prayers to Rolf and your family. Thank you for your memories and for posting his email to you. The note conveyed his kindness and grasp of complicated times. Peace. Prayers for you, friends, on the passing of Opa. I have lost another dear friend and am ready to give my support to Helga as well as Rolf and your family. I feel priviledged to know Franz. Sorry for your loss!! He sounds like a great man, i’m sure he will be deeply missed by you, all as well as everyone he came in contact with as well. Its Gods calling and is in a much better place now looking down upon all. So sorry for you loss. You all will be in our thoughts and prayers. 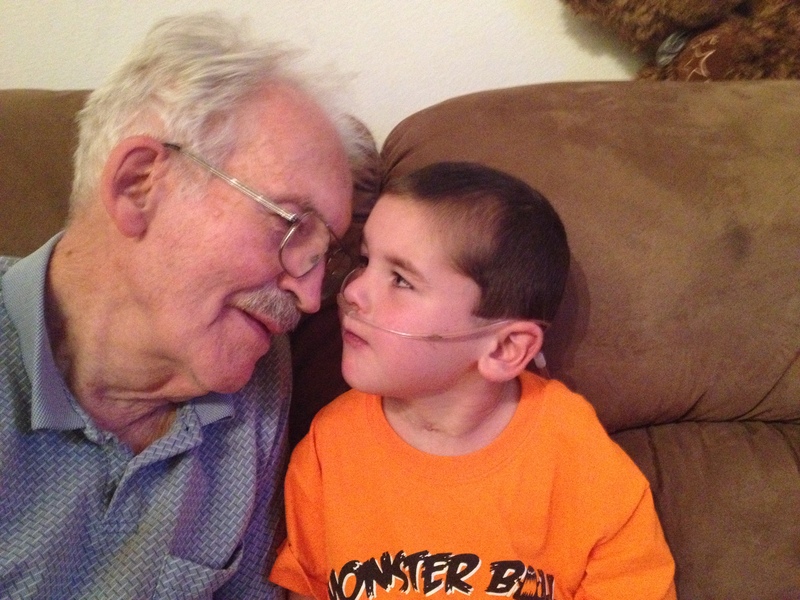 What a beautiful tribute to read about your Opa…someone so loved and treasured in your family. What a wonderful man he was …thanks for posting and letting us get to know him a little….our prayers are with you!! So Glad Rolf could be with the family. Our condolences go out to all of the Geyling family. Remember all those wonderful memories. What a beautiful letter from a beautiful, thoughtful man re. Rudy! Our thoughts and prayers are with the entire family as the angels carry Opa to Jesus! I am so sorry for your loss, Trish and Rolf! Praying for you during these difficult times! Oh, this brings tears! So sorry for this loss, but celebrate the gift of a good man, a good dad, a good granddad in all of your lives. Many blessings in days to come, friends. So sorry for your loss! 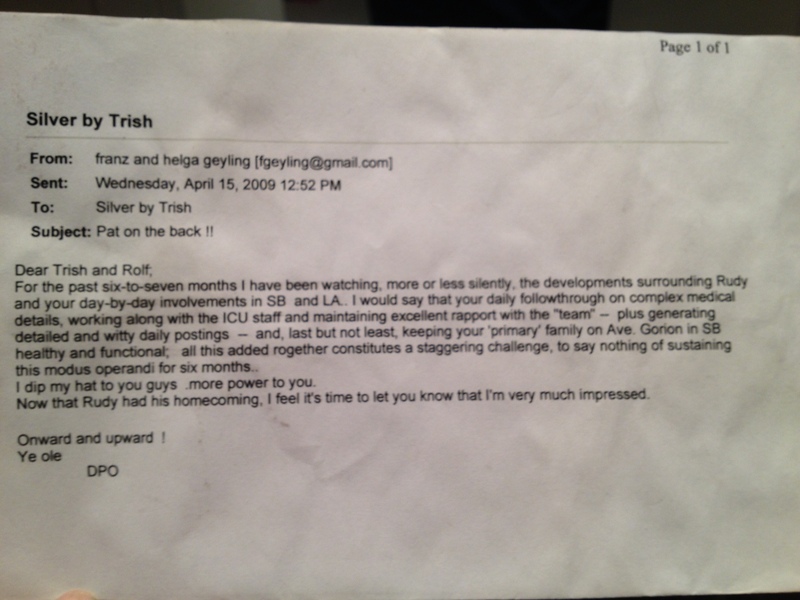 Loved the email he sent you…ending it, “onward and upward”! Oh, so cool… such a legacy for you and all those who crossed his path. Hugs, tears, love and blessings all over you. What a beautiful tribute, Trish! And he was so blessed to call you a daughter and to see you and Rolf unite as husband and wife and to see you raise your four kids with such wisdom. You are all in my prayers!